While cooking this little guy for the past 20 weeks, Jonathan and I had a bit of trouble with names. Although we had a good idea of what we liked, we were still unsure yesterday. Heck, giving a kid something they will carry around with them for life is a pretty big deal! So, last night we went to bed with Owen Charles Bauer on the brain. Those names come from both sides of our families - plus we just think it's pretty cute! When I woke up this morning, I could not imagine calling this little guy anything else. 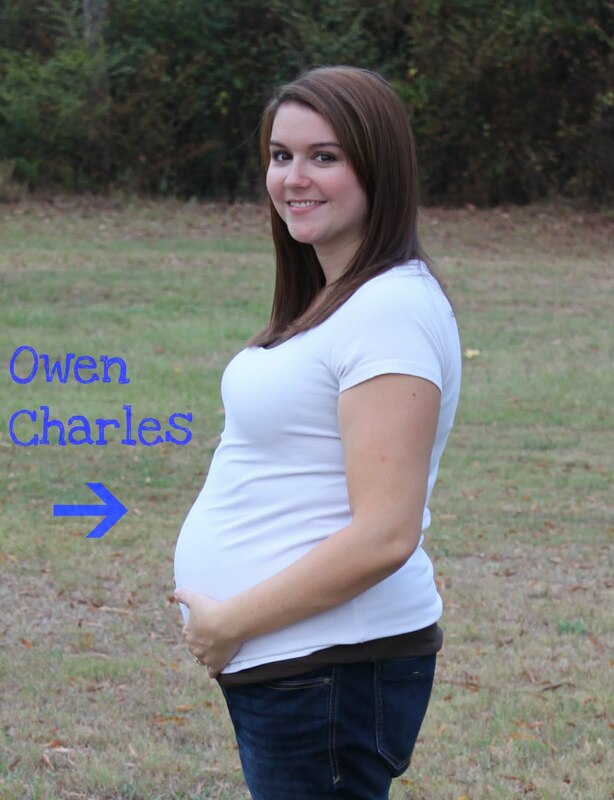 He is my Baby Owen and we love him so much already. I have spent today dreaming about raising another boy and watching two brothers discover the world together. I am so excited and I feel incredibly blessed to watch my family grow. PS: I know this is still not a picture of Owen. It'll probably be Monday when I can show him off, but at least you know his name now! Until then, trust me, he's super cute. Happy Friday!